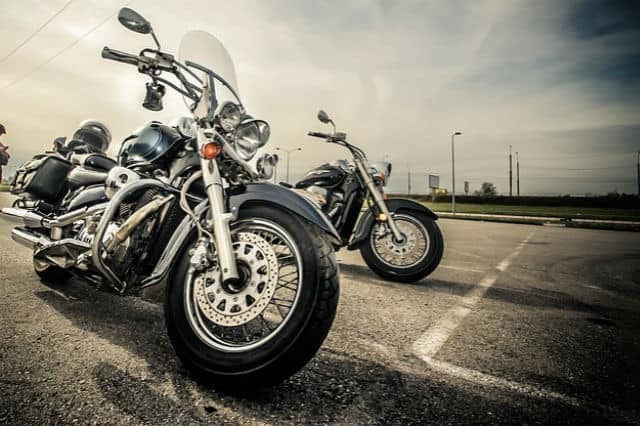 It could be due to an accident or an engine issue, but one thing is certain – you need your motorcycle towed and brought to the repair shop as soon as possible! When you find yourself in this situation, don’t worry. Our staff at the Scarborough Towing Team is here to be at your help right away. We specialize in motorcycle towing using quality tow trucks that will transport your vehicle to your desired destination. Motorcycles give you a sense of freedom and thrill with every ride. But then, these vehicles may breakdown because of an engine problem or an accident when you least expect it. Transporting them over long distances can also be a tricky without the right equipment. In that case, a Scarborough towing service specialist is exactly what you need. Call our experts at Scarborough Towing Team for the fastest and most dependable motorcycle towing today. Why are we the best motorcycle towing in Scarborough? People love to ride motorcycles not just to get from Point A to Point B, but to feel the roaring adventure in their heart. But what happens when your Suzuki or Harley breaks down in the middle of the road? When you’re in a remote place, or even in a busy road, you need help getting it back in shape to reach your destination. This is why at Scarborough Towing Team, we do our best to give our clients the highest level of satisfaction they deserve from our service. Once you contact us, we will arrive at your location immediately. You can also call us for estimates, which we give at no added cost – and no hidden fees. This is our way of showing our dedication to your needs. After all, you are our priority – nothing more, nothing less. Our goal is to eliminate your worries and stress of being in a tough motorcycle engine problem. Or perhaps it’s your flat tires or zero fuel. Whatever it may be, our tow trucks Scarborough experts can assist you perfectly. Our up-to-date training, reliable equipment, and years of experience in this field make us your best choice for your towing needs. There are many ways to get your motorcycle towed. It really is a matter or your personal preference. For instance, you can go for the traditional tow truck, which is what most people choose. But there are also those who prefer to get their motorcycle towed using a flatbed tow truck. This option offers greater security to your precious vehicle because there is a flat cargo bed to secure your bike while in transit. The wheel cradle takes care of the front wheel, preventing the entire vehicle from sliding down by accident. We also equip safety harnesses for added security and peace of mind. Either way, we offer several towing services for your motorcycle. We do long distance towing, flatbed towing, emergency towing and regular motorcycle towing to get you out of the road in no time. But one thing is for sure – when we move your vehicle, we always guarantee it to be free from damage. We treat it with utmost care, so you can keep your mind off unnecessary worries and concerns. So whenever you need the finest motorcycle towing service in Scarborough, be sure to give us a call! You may reach us at 647-557-6720 – just a quick phone call away to be at your service. Count on Scarborough Towing Team to be there for your needs without the long wait.